This month I’m writing about finding an agent. It has always been my dream to place my manuscript with a bigger publishing house, so once I’ve finished up my manuscript I’m going to throw myself into the forest of literary agencies. I come from Hungary, a small country with a very small market for books. The publishing industry is so tiny that there is just no space for the intermittency of agents; writers try to represent themselves and sell their books to publishing houses. It puts a lot of pressure on the author because they have to deal with things they’re not specialised in and it takes time from their actual writing. Knowing this, I really appreciate the possibility of having a professional who would take care of me, while I worked on my books. So how would I go on about finding the perfect agent candidates? I’m a huge Twitter fan, so I would check out what people are looking for with the #MSWL hashtag (manuscript wish list.) It’s a good place to go if we want to know what editors, agents, publishing houses are looking for. If you find agents who dream about something like your manuscript, jot down their names, maybe check out their posts to see if you have a similar taste and views on life. Take your time, go through them. Make lists, then set up an order of preferences. Of course nobody can expect you to send your query to only one agent at a time, but you also shouldn’t flood the market mindlessly. Order your list into tiers. Send out a few queries to the agents you find most compatible or appealing. Wait for their response. Hopefully your first choice will love you back, but if not, move down the list. Always be polite and respectful. It’s completely normal to work with an email template, but make sure to always personalise them and pay attention to the special wishes of the different agents. If you don’t agree with something, or even if the agent wasn’t the nicest to you, never be aggressive or impolite. Agents talk among themselves and you wouldn’t want to find yourself blacklisted. Most importantly; however, even while you are querying, don’t stop working on new stories. Instead of waiting in agony, use the energy to create. This article was originally my guest post for the A-Z blog challenge on Operation Awesome in April, 2017. Food for thought. Great post. The #MSWL sounds ideal for writers looking for an agent. The perfect place to hang out and get insights. I was just cruising Juneta’s blog and ended up reading your journey guest post. Small world. 🙂 I had tiers when I was querying, and I found it extremely useful. Great post! P.S. Do you have a Facebook author page? If so, would you pretty please email it to me? Thanks, Fanni! I can see why a lot of people decide to bypass the agent and self-publish! Some great tips 🙂 I’d add ‘Don’t get disheartened’ to the list too: I’ve heard in some cases it can take weeks for agents to reply as they get super busy! Excellent post, Fanni! I especially love the reminder to keep writing other works while querying. It’s so easy to get caught up with revisions (from agent feedback) and get that this’ll-never-end feeling. Ever forward! Great post! Thanks for the tip! I didn’t know about this tag and will certainly take a look at it! Thank you! Thanks for the websites. It will be a while before I query but creating an order of preferences is a great idea I will definitely use when I start. This is my first time here. I’ll follow your blog and connect with you online. Wow! Lots of great info here. 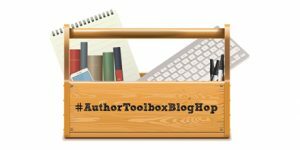 Thanks for sharing this with Author Toolbox followers. Unfortunately, it will be some time before I try to get an agent. But I’ll mark all this down. I could always use more resources to find agents! Also, if anyone writes fantasy or speculative, I have a list of 165 agents accepting on my website (http://micascottikole.com/agent-list/). I need to make more of these! Definitely useful to think about what type of publication you want, too. I recently had a page request from an agent, but when I looked a bit closer, I saw she had only published with boutique houses, no big three whatsoever. Since I want a chance at that, I elected to pass. Thanks for the insights. Sending a query is always stressful, so the more prepared we can be the better!